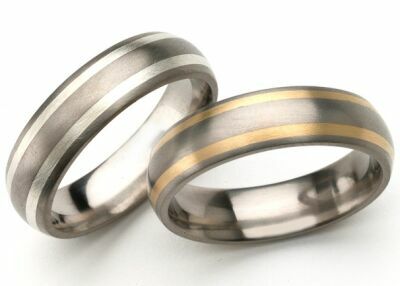 Gold (Au) is the most popular choice for men’s and ladies wedding rings, and engagement rings. It is the most easily worked of all metals and ranges in softness based on its purity. Pure gold is often mixed with alloy metals such as copper and zinc to improve its hardness and durability. White gold combines pure gold with other white metals, such as zinc, nickel, platinum and silver. Durable and resistant to tarnish, white gold jewelry requires platinum or rhodium plating, which can fade over time. It is generally produced to be a more cost effective and more durable option over platinum. Rose gold, also called pink gold, combines gold with copper to create a golden metal with a reddish hue, and can be found with varying percentages of each. Based on the addition of copper, the intensity of pink color may be lighter or darker. Be careful not to confuse karat with carat. The karat is a gold unit for purity, whereas the carat is a unit for mass, often used to measure the weight of gemstones and diamonds. Like pure gold, pure silver (Ag) is very soft, so it’s commonly mixed with other metals to improve durability for use in jewelry. Silver is normally mixed with copper, and there are several levels of purity that indicate the quantity of pure silver contained in the metal. 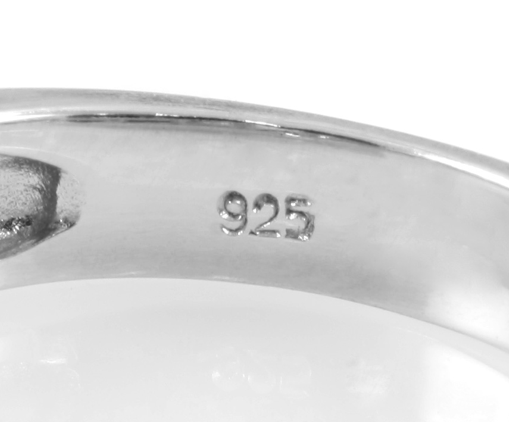 Sterling silver is an alloy that contains a mixture of 92.5% pure silver and 7.5% other metals. In order to be called sterling silver, the metal must possess at least 92.5% pure silver, but the other components can vary. Sterling is considered a standard among silver grades, and provides strength to ensure that pieces like silver bracelets, rings, and necklaces can withstand regular use. As one of the precious metals, silver is among the most popular metals for the creation of jewelry. Silver is lustrous, affordable, flatters all skin tones, and is very adaptable to casual and formal wear. Platinum (Pt) is a lustrous silvery-white metal that’s extremely rare, and considered more precious than gold. Priced significantly above gold, platinum is among the heavier metals used in jewelry. Remarkably resistant to corrosion and wear, it is a popular choice for engagement rings and wedding rings. As with other precious metals, platinum is commonly mixed with base metals. However, for a piece of jewelry to be labeled as “platinum”, it must have a minimum level of purity of at least 95% pure platinum. 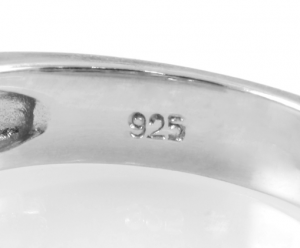 A purity level of less than 95% would require the metal be identified as a platinum alloy. Platinum is hypoallergenic, extremely long wearing, and is very white, so it does not need to be rhodium-plated like white gold does. Because platinum is a purer metal, it is more malleable and does show more scratching. When considering white gold versus platinum, there are many factors to consider, and a reputable and honest jeweler should be consulted to discuss your options. Palladium (Pd), part of the platinum group of metals, is a white metal which has a silver-grey-white color, and is similar to platinum, but with a density closer to gold. The benefits of palladium include its light weight, and high strength; in addition, it can be sized, stays white, is very durable, is hypoallergenic, and has a lower price than platinum. 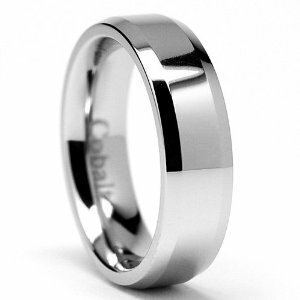 Known for its signature strength and remarkable lightness, titanium (Ti) is a popular choice, particularly for men’s wedding bands. Silvery-grey-white in color, it is the hardest natural metal in the world, and as such, is extremely durable. Titanium is also hypoallergenic, lightweight, highly resistant to corrosion, and has the highest strength-to-weight ratio of any metal. Though less frequently alloyed, titanium can be inlaid with other metals, such as gold, for aesthetic appeal. 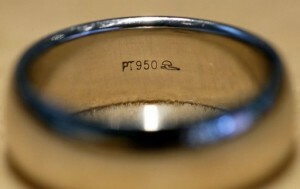 Tungsten (W) rings are some of the most wear resistant rings available. Silvery-grey in color, tungsten measures between 8 and 9 on the Mohs hardness scale, making it harder than gold, silver, steel, or titanium. Strong and durable, tungsten is heavier than most other metals used in jewelry. It is hypoallergenic and remarkably scratch resistant, which is particularly useful with alternative finishes. A downside to tungsten is that it can’t be cut off the finger like most precious metal rings, and it can’t be sized. 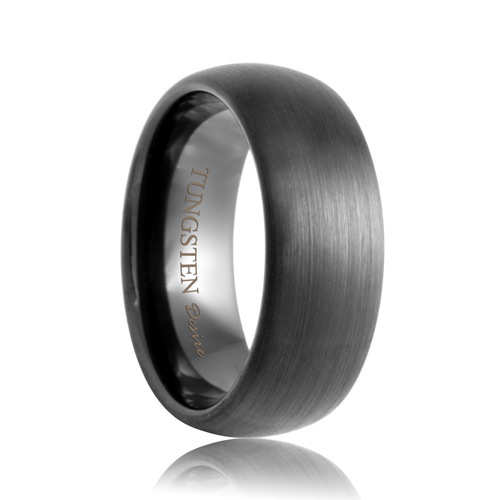 All tungsten bands actually have breaking points built into the ring allowing them to be hit with a hard object in order to get off in case of emergency. 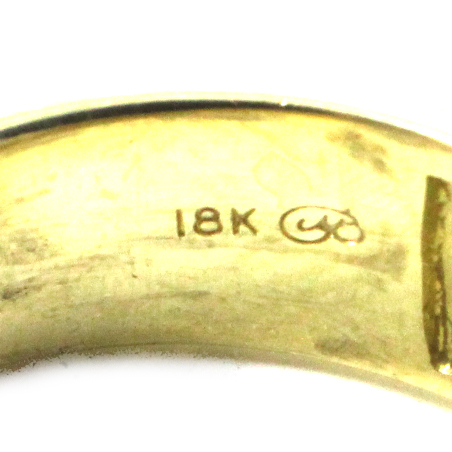 Chrome Cobalt rings are made from a unique alloy blend that consists of cobalt and other substances. They are bright, strong, and very scratch resistant. A tremendously durable alloy, it is harder than gold, or even titanium, and maintains its luster better than any metal. It will not tarnish, and is hypoallergenic, making it an excellent choice for everyday wear. 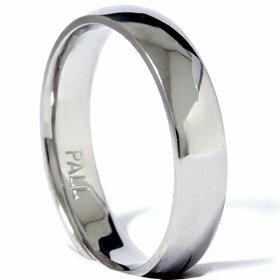 Tantalum rings are the newest and most mysterious of metals recently being used for wedding bands. They are rare, dense, and blue-gray in color. Tantalum is immune to body fluids and hypoallergenic, making it a readily-used metal in surgical and dental equipment. In addition, Tantalum is extremely heat and wear resistant, as well as shatterproof, making it durable enough for everyday wear and tear.